The New Bolton Center in Kennett Square, Pa., had a horse who had been on the property test positive for the equine herpes myoencephalopathy (EHM, neurological disease caused by equine herpesvirus) on Jan. 16. As a result, the facility ordered all horses who had been on the grounds during the affected time period to be tested. One positive has now been reported at Laurel Park, according to drf.com, resulting in the quarantine of one barn and significant scratches due to shipping restrictions. English Tudor, a 4-year-old gelding, was at the New Bolton Center to be gelded, and returned a positive test for EHV-1. Returned to Laurel Park, the horse showed no outward symptoms, and has since been moved off the grounds. Barn 20 has been quarantined as a result of the positive, which includes trainers Tony Aguirre, John Salzman Jr., Katherine Voss, and Linda Albert. None of the horses in that barn will be allowed to race or train until English Tudor is retested. Shipping restrictions have been put in place by both Penn National and Parx Racing, meaning that horses who ship to Laurel from those tracks will not be allowed to return. Laurel had already restricted horses from shipping from Belmont Park after an EHV-1 positive there earlier this month. According to Maryland Jockey Club president Sal Sinatra, horses from Aqueduct, Fair Hill and Charles Town are being allowed to ship in and return to those tracks. Scratches in Saturday's first race depleted the field to just two runners, so Laurel has cancelled the first race. The second will begin at its regularly scheduled post time of 12:57 p.m., and the Pick 5 will now start in Race 2. 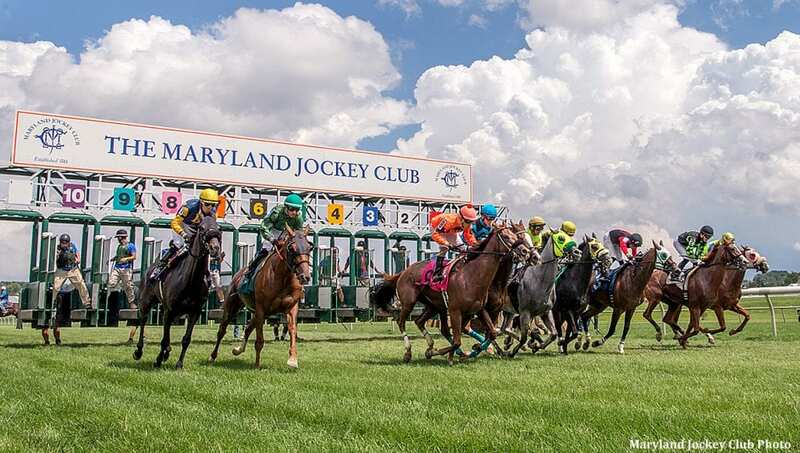 The Maryland Jockey Club has placed some restrictions on shipping in-and-out of Laurel Park. Sal Sinatra, President and General Manager of the Maryland Jockey Club, said Saturday that a horse who shipped to Laurel had tested positive for the EHV-1 virus. The horse has been removed from the grounds but the barn he was stabled in has been placed under quarantine. The horse will be tested off property again Tuesday. If the horse tests negative restrictions will be lifted immediately. If he tests positive again, the restrictions will remain in place until Jan. 30. “We're asking horsemen in other states and at training centers to check their policies before entering,” Sinatra said. This entry was posted in Horse Care, NL Article and tagged belmont, belmont park, ehv-1, english tudor, equine herpesvirus, laurel, laurel park, Maryland Jockey Club, new bolton center, parx, penn national, sal sinatra, scratches by Paulick Report Staff. Bookmark the permalink.